Lock in a great price for Roos Guesthouse - rated 9.4 by recent guests. Very friendly owner and staff. Lots of good advices! It felt like home.... everyone at Roos from owners to all the staff were so friendly and always wanting to help make your stay the best. We went canyoneering through Roos which was amazing the guides are spot on and not only make you feel like family but give you the best time while diving/hiking/ driving honestly couldn't reccomend this enough Mark and Francis are amazing. Overall such a natural environment and the best start to our travels. Owners were really welcoming and helpful, providing us with recommendations for restaurants in the local area. Communication prior and during the stay was also excellent! 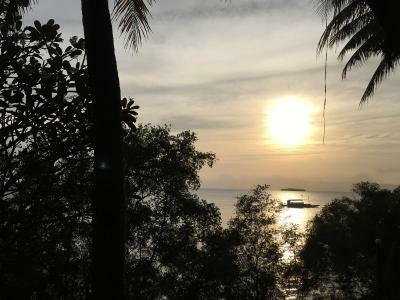 Property was in a very good location close to the beach and restaurants. Absolutely faultless. The staff were incredible, my girlfriend got very ill and they drove us all over the town to the doctors, pharmacy etc and barely charged us for it. We have spent 2 months in the Philippine’s and they had the best staff we have yet experienced. Thank you! Room was nice, breakfast and the outdoor area and pool was really nice to chill. Very friendly and helpful staff, always on hand to answer any questions. Nice breakfast included. Room was clean and modern. Great location right by Panagsama beach, close to restaurants and other shops. One of our bestsellers in Moalboal! 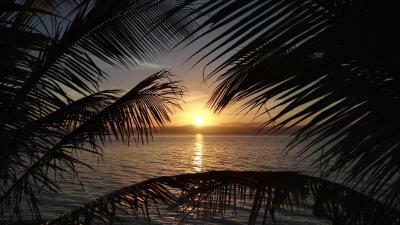 Located in Moalboal, 350 yards from Panagsama Beach, Roos Guesthouse has a garden and a terrace. It also features a swimming pool and a seating area. Every room has a private bathroom, while selected rooms come with a garden view. Alcoy is 19.3 miles from the guest house. The nearest airport is Mactan Cebu International Airport, 64.6 miles away from the property. 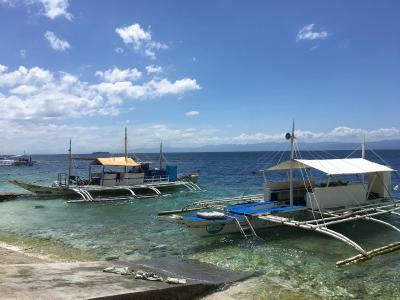 This property also has one of the best-rated locations in Moalboal! Guests are happier about it compared to other properties in the area. 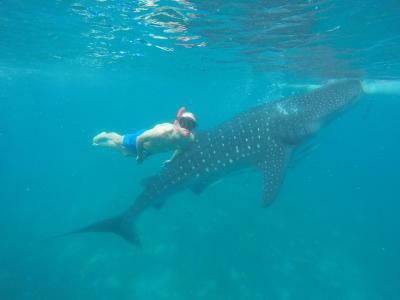 This property is also rated for the best value in Moalboal! Guests are getting more for their money when compared to other properties in this city. Roos Guesthouse has been welcoming Booking.com guests since 28 Feb 2018. 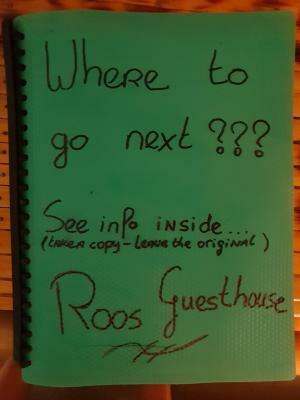 When would you like to stay at Roos Guesthouse? Fitted with a queen bed, this room comes with garden views and is equipped with air conditioning. The room also includes a private bathroom with a toilet along with hot and cold shower facility. Fitted with a bunk bed, this air conditioned room has a private bathroom with hot and cold shower facility and toilet. This rooms also comes with lockers for guests use. This fan-cooled double room comes with a private bathroom equipped with hot and cold shower facility as well as lockers. A portable WiFi is also included in the room. This air-conditioned bungalow features a seating area, a kitchen and a terrace. It is fitted with a queen bed. This air-conditioned bungalow has a queen bed, air conditioning and a kitchen. House rules Roos Guesthouse takes special requests - add in the next step! Please inform Roos Guesthouse in advance of your expected arrival time. You can use the Special Requests box when booking, or contact the property directly with the contact details provided in your confirmation. There was no water available in the bathroom the day we arrived (something to do with water delivery? but I think this could be a country wide issue). We had a room without air con so the room was quite sweaty at night.. there were no rooms with A/C left when I booked so not much that could be done about that! We absolutely enjoyed our stayed at Roos guesthouse. The facilities were clean and comfortable. It’s a short walk to all the restaurants and beach. The staff was very helpful and friendly at all times. We would definitely stay here again! The room was quite small for two people and struggled to cool down despite having AC meaning that we didn't get the best sleep. Very well managed accomodation. The owners, Werner and Hanna, are very friendly and helpful. They offer lots of tips, you can borrow snorkeling equipment... The location is also very good, 3 minutes walk from the beach. All you need on vacation! Size of the room, curtains too thin and it’s noisy. We don’t travel to sleep, but need a good night of sleep to enjoy our day. The breakfast was good, the staff kind and helpful, the place is clean and looks new. Near the beach, wich is not a beautiful beach on the surface, but once you put on a snorkel, you’ll be amazed! 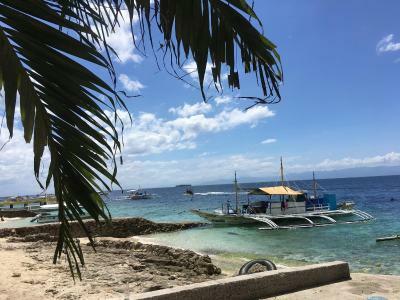 It's a little off from the main city of Moalboal therefore could provide a better value for money. The feel of the hostel was pretty good, breakfast was solid! They provided us free snorkeling goggles which was just amazing. Nearby to the Pangasama beach.